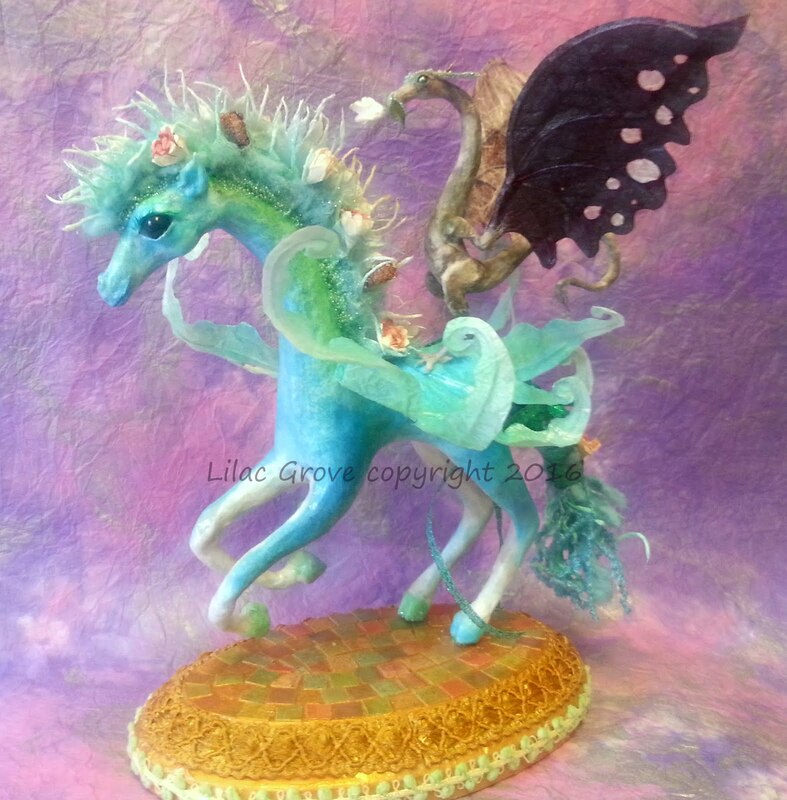 Lilac Grove ~ Paper Sculptress: Enchanted Ground - Faery Fest Update! 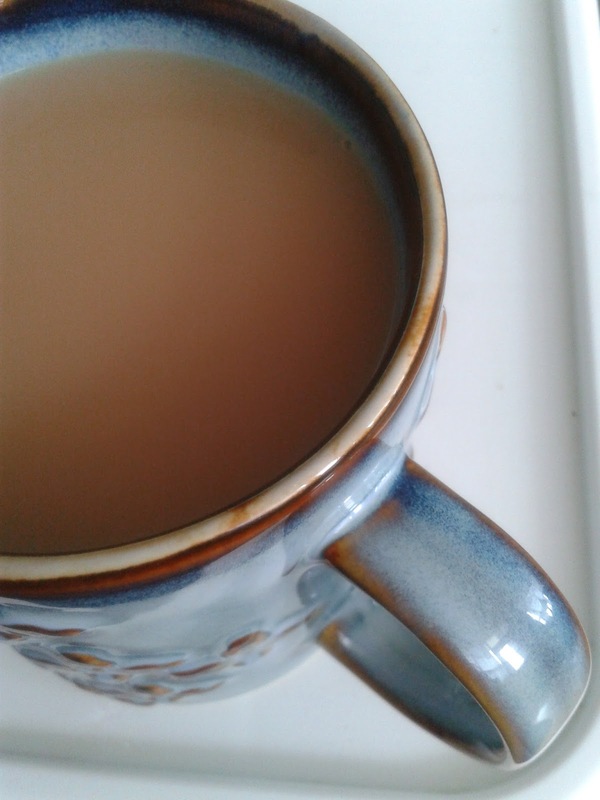 Enchanted Ground - Faery Fest Update! 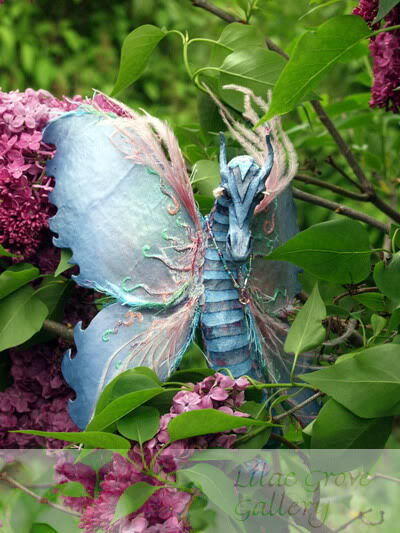 I thought I'd share images of one of the dragons who will be accompanying me to Faery Fest, 2011. 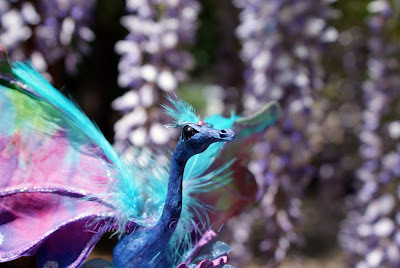 Below is one of my newest Dragon Wands which I will, again, have available at the festival in all their many, splendid colours and finest faery wings! This Pixie Dragon was photographed amidst the lovely clusters of wisteria flowers growing on the local university campus where I work. The vines have simply swarmed the arbor they were planted near and the flowers are plentiful this year; their heavy perfume attracting a multitude of bumble bees - and this little guy! 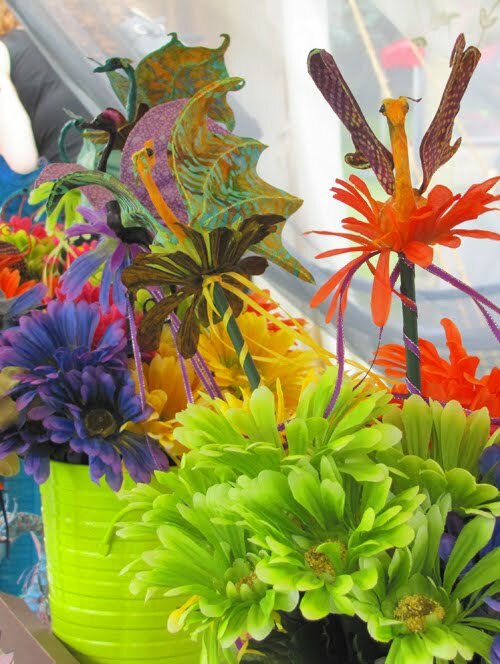 I'm getting so excited for the festival! This year there will be a production of A Midsummer Night's Dream and a Masquerade Ball, plus the always amazing Knight of Valour Jousting team!! These are some Dragon Wands that were available last year (most of whom found their person) and new this year - I will also have some Dragon Masks available. Stayed tuned, more photos to come! 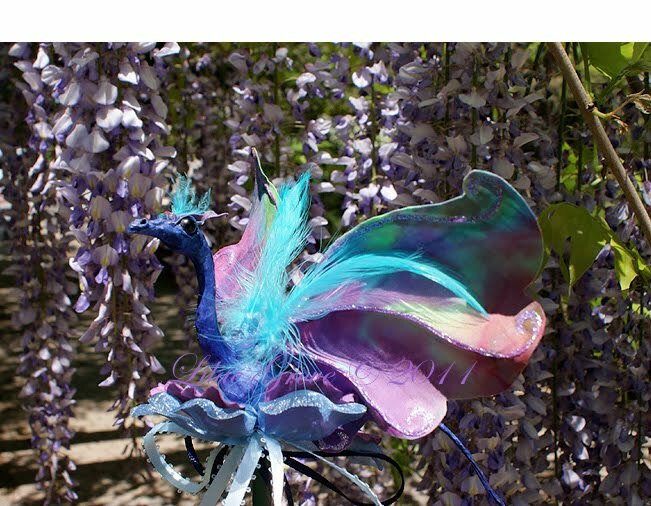 Or you can just come see everything in person on June 17, 18 & 19 at Enchanted Ground - Faery Fest 2011! Yippy! Look forward to seeing you on Sunday, Tammi!